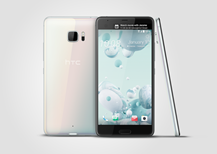 HTC has been lagging behind its competitors for years, despite some fantastic hardware and critical acclaim. So for 2017 the company is going in a completely new design direction, dumping the aluminum unibody phones it's become known for and shifting to a more generic glass front and back. 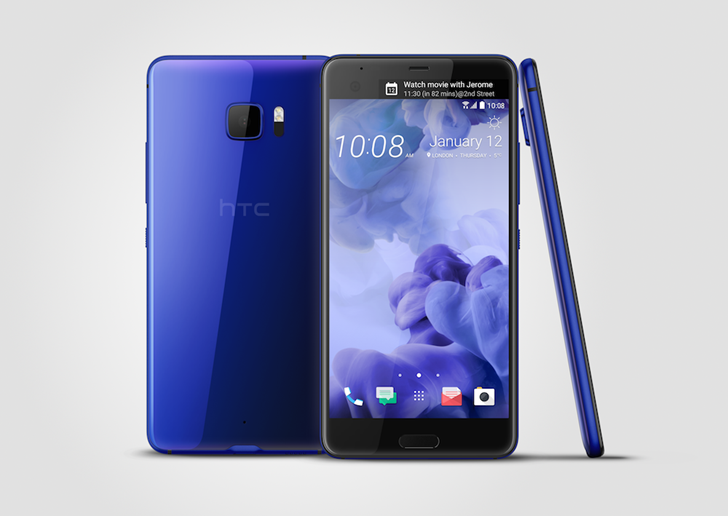 The first products displaying this new direction are the HTC U Ultra, the new flagship phone, and the U Play, a mid-range model. They'll both go on sale later this year. 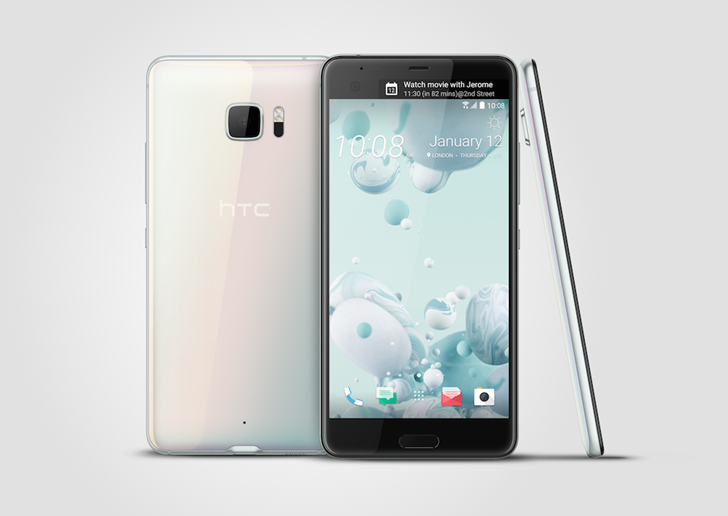 The U Ultra is where the bulk of HTC's design and marketing are going. The new phone's most striking feature (aside from the curved glass back and aluminum sides, which are more than a little reminiscent of Samsung's Galaxy design language) is a secondary ticker screen on the front. Yes, it's a lot like the LG V20's secondary screen, including the placement - it looks like HTC has decided that if you can't beat them, you should join them. That said, the curved glass is very pretty, especially in the sapphire color, and HTC has gone to particular care to make everything appealingly symmetrical. The only bummer is the camera module, which noticeably bulges several millimeters from the rear of the phone. At 7.99mm thick it's sleek, but nothing to write home about in this particular field. Specifications for the U Ultra are fairly predictable for a 2017 flagship. The phone uses a 5.7-inch 2560x1440 LCD screen for its primary display, with the secondary panel being 2.0 inches and 160x1040. (The front-facing camera module accounts for the corner cut.) Underneath is a Snapdragon 821 processor, 4GB of RAM, 64GB of storage plus a MicroSD card slot, and a somewhat disappointing 3000mAh battery. 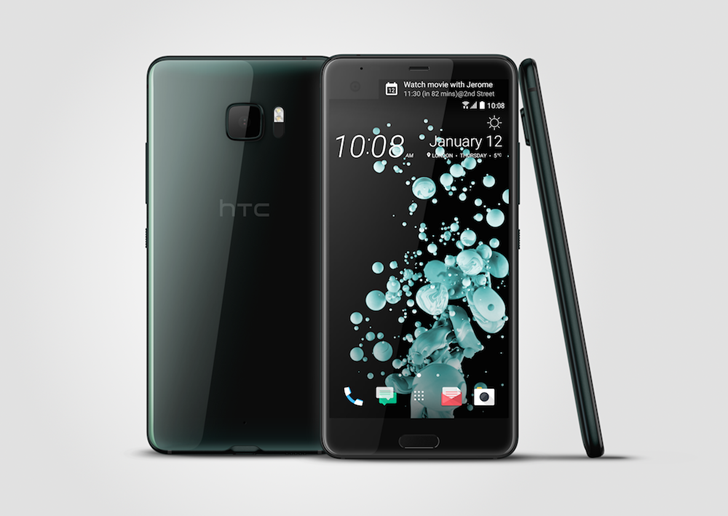 The rear camera is HTC's "Ultrapixel" sensor with 12MP, plus optical image stabilization and a laser focus, all behind an F/1.8 lens. The front-facing camera is a conventional sensor with an impressive 16MP resolution, and the fingerprint sensor is integrated into what looks like a home button underneath the main display. As expected, the U Ultra abandons a dedicated headphone jack for a unified USB-C port. The company is quick to point out that its trademarked "BoomSound" will still work with the audio routed through USB, along with the new "Usonics" platform that reportedly adapts its sound profile to suit the individual user. We'll see. 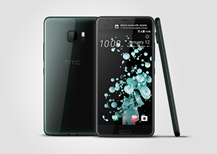 HTC is also trying to implement its own AI assistant program that will be integrated with the phone's secondary display, allowing for voice and touch interactions without powering up the primary screen. It will still handle notifications like LG's implementation, but it will also be utilized for the adaptive companion and voice control app built into the phone's Android 7.0 software. The U Ultra will be available for pre-order on HTC.com later today, with a starting price of $749 for the 64GB sapphire, black, white, and pink color options. 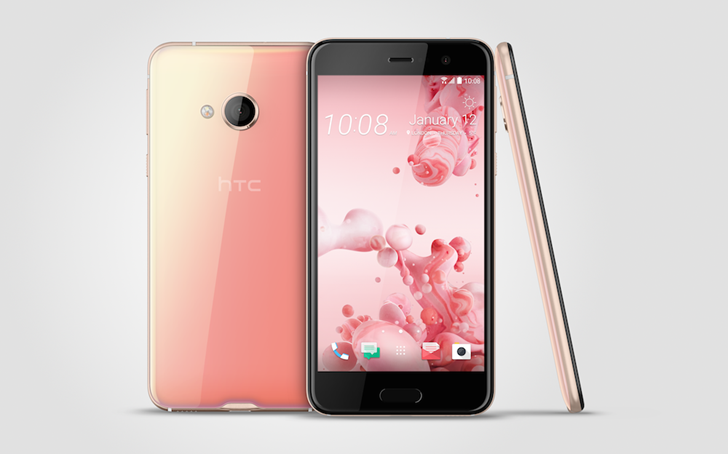 It will ship to the US and other markets in March, though HTC's home market of Taiwan will get it later in January. A special edition of the phone with a super-strong sapphire front glass panel and 128GB of storage will be available sometime later. The U Play is the U Ultra's smaller and cheaper cousin. Styling is similar to the more expensive model, with the exception of a circular camera module. The secondary screen is dropped and the primary panel is downgraded to a 5.2" 1080p LCD. The processor gets a major step down with a MediaTek Helio P10, and storage and RAM will vary depending on region, 32GB/64GB and 3GB/4GB respectively, with a MicroSD card slot on all models. The rear camera is a conventional (not UltraPixel) 16MP sensor with an F/2.0 lens, which is mirrored for the front-facing cam. Note that the rear camera is lacking the laser auto-focus and optical image stabilization of the flagship phone; if users want a premium photo experience they're going to have to go for the upgrade. 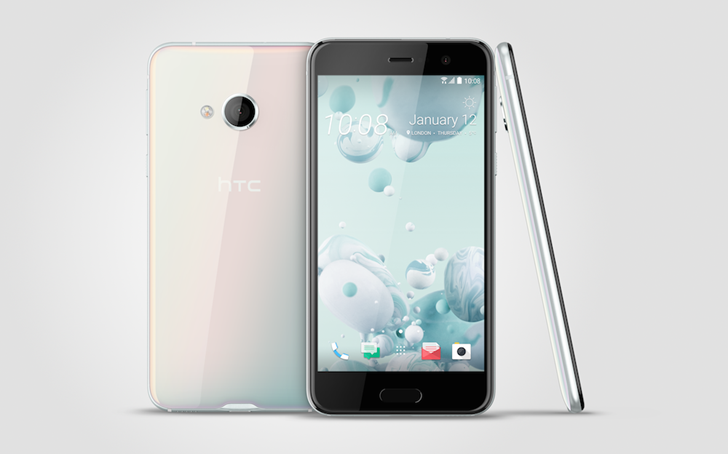 The U Play also drops the headphone jack, so it looks like HTC is going all in with this design decision. The smaller phone keeps the USB-C port, but that smaller frame means that it can only hold a 2500mAh battery. Even so, the overall thickness is the same as the U Ultra at 7.99mm, and it has the same fingerprint sensor beneath the front display. 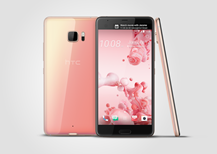 The software will be Android 7.0 with most of the same bells and whistles as the U Ultra, minus some camera capability and the secondary screen functionality. 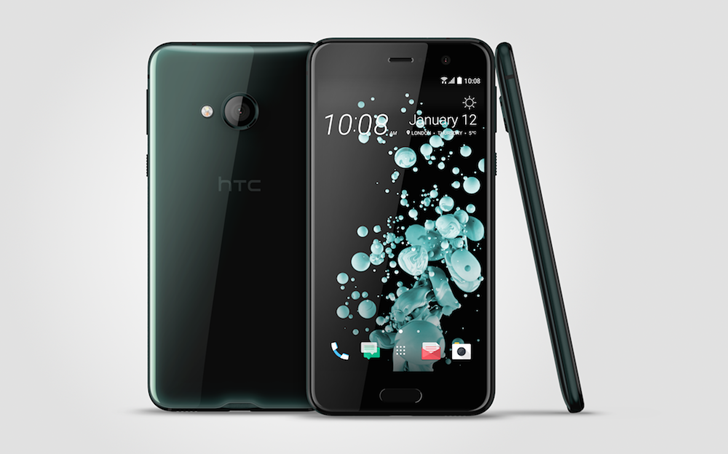 The HTC U Play is scheduled for "global markets" in early 2017 according to the press release, so it may or may not get an American debut. Pricing has not been announced, but with that spec package potential buyers should expect something on the $400-500 range before carrier discounts. 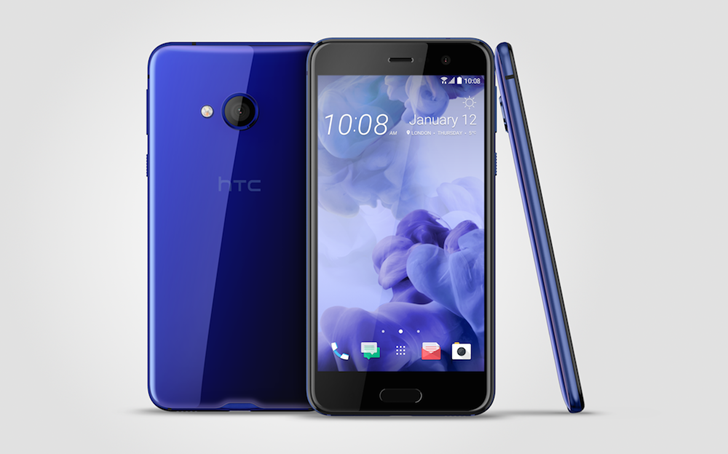 We'll have a hands-on post with the HTC U Ultra later today.